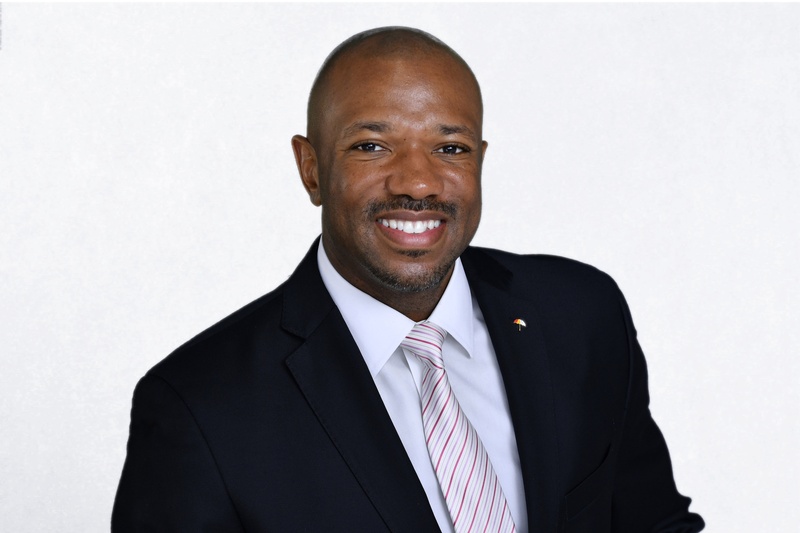 Leadership Orlando is proud to introduce Reginald B. Riley, Ph.D., Corporate Manager of Community Relations, External Affairs & Community Relations, Orlando Health, as Chair of Leadership Orlando Class 95. Dr. Reginald B. Riley joined Orlando Health in 2011 after relocating from his hometown of Atlanta, Georgia. He holds a Doctor of Philosophy in Counseling and his research interests include: social work in non-profits and community, adventure based counseling, healthcare disparities, psychosocial factors as they relate to healthcare and educational success, therapeutic benefits of equine therapy, social work education, mediation/conflict resolution and religion in social work. Most importantly, Dr. Riley's volunteer and community service is extensive with recognition as the Central Florida Urban League 2016 Cornerstone Award Recipient in Personal Empowerment, Valencia Foundation’s 2015 Board Member of the Year and one of the 2014 Legacy Central Florida 50 Most Power-Impactful Black Professionals in Central Florida. Dr. Riley, what does it mean to you to be Chair of Leadership Orlando Class 95? What are you most looking forward to? Having been truly impressed by my Leadership Orlando Class 86 journey, I am honored to have been asked to Chair Leadership Orlando Class 95 and it means a tremendous amount to me because I feel my peers here in the Central Florida community recognize leadership qualities in me and see fit that I share those qualities with others. I am most looking forward to the opportunity to connect with individuals who share my passions for this place I now call home, individuals who care deeply about the success of this region and the health of its people, businesses, community and non-profits. As a leader of our community, what continues to motivate you? Who do you lean on for support? I am a member of a fraternity, pledged a long time ago, and one of the cardinal principles of that fraternity is Uplift. That has stuck with me, understanding that as we navigate our way along in this life we have a duty to continue to reach back and encourage others, mentor them, lifting as we climb. That motivates me. To me, helping others is the best way to help and better myself, it fills my cup. With regards to who I lean on for support, I am fortunate to work with an incredible team in External Affairs and Community Relations at Orlando Health. These folks are friends more than co-workers and having that kind of support is immeasurable. I also have a close group of friends that I golf and hang out with including those that I’ve met in my Leadership Orlando class. You’ll often here me joke that not a week goes by that I don’t have lunch with or a call with someone from my class. Through your own Leadership Orlando experience, there were many lessons learned. What was the top lesson you learned or what lesson can other communities learn from us? I’d say to be intentional about your success in this program. With that I mean you’re in Leadership Orlando Class 95 for a reason so take advantage of it, be present. Take advantage of the networking. Get to know those in your class, each and every individual, you will appreciate it. I learned a long time ago that it takes all kinds of kinds and I take that to heart so you will notice that my circle of influence is broad, diverse and varied as I think all of ours should be. There is something to be learned from every individual you encounter so if you enter relationships with that in mind, they will all be mutually beneficial. Join Dr. Reginald Riley to learn about regional issues and participate in the conversations that are helping to guide our community’s future. The online enrollment form for Leadership Orlando Class 95 and the full schedule may be accessed at www.LeadershipOrlando.org. The deadline to enroll is Friday, February 16, 2018.